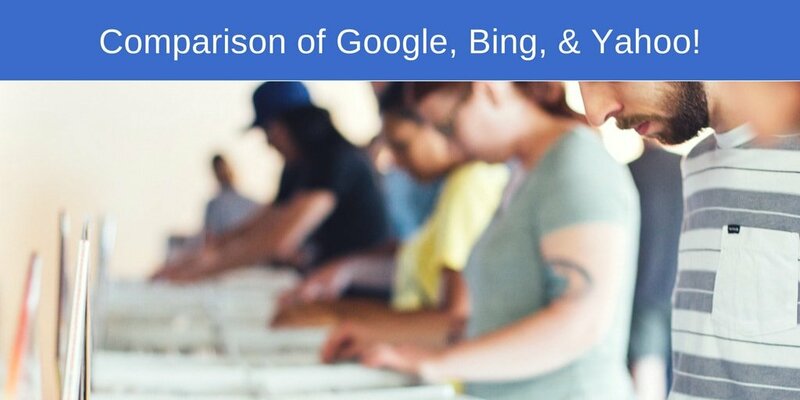 This is a quick Google, Bing, Yahoo comparison and review for anyone interested in knowing more about these search giants. Bing, Google and Yahoo are the most commonly used search engines on the Internet today and the three world-class leading English search engines in the world. In this review, we’ll be comparing their features and the advantages of using one over the other. Each has its own advantages and disadvantages but they all deliver excellent search results to their users. Bing has excellent search tools such as being able to narrow a search by region, language and date. Google has more of the same tools but includes excellent street views on maps and is known for giving really accurate search results. Yahoo, on the other hand, is known to integrate its search results with strong networks, enabling you to get more than what you searched for. Google is the most popular of all, even though they’ve been in the field for over 19 years compared to Yahoo, which has been in the search business for over 23 years! The newest entrant to the industry is Bing and they’ve been around for just 9 years. But they’re quickly becoming more widespread, especially, in the United States. There are other search engines similar to Bing that have gained momentum in recent years, such as DuckDuckGo and Search Encrypt, a private search engine that keeps your data encrypted as you search. They all differ from Google, Bing or Yahoo in many different ways like the design, social media integration, their capability to filter results, ease of search, and their use of paid ads, just to name a few. It’s worth noting that Baidu, a Chinese search engine is the second largest in the world and Google is the most used and famous! The search engine is known for solid search results in addition to its social integration, especially, with the use of Google+. Google is owned by Google Corporation, which also offers online advertising technologies, cloud computing and other software services such as Gmail, office suite, instant messaging and more. The company was incorporated in 1998 by Sergey Brin and Larry page with the aim of organizing information in the world and making it both accessible and useful. Google has been developing over the years with new additions that make it a more socially driven search engine. With Google search, not only can you search for information but also share it with friends, connect and socialize with other users of similar interests via Google+. Its search results often contain info recommendations such as their ‘people also ask’ widget. Although the search engine has many great features, Google isn’t perfect and that’s partly why there are many other companies competing against it. It has a clean design with a layout that makes it easy to navigate through and find information quickly. It has a larger index size than most search engines. Google identifies and adds fresh content to its database by the second. Impressive advanced ranking and filtering system that’s really accurate. More often than not, it ranks high-quality search results in comparison to other search engines. Helps your search by offering suggested searches and highlighting popular ones. Social integration feature makes it a great search engine for social activities such as shopping, making price comparisons and reading reviews from other users. 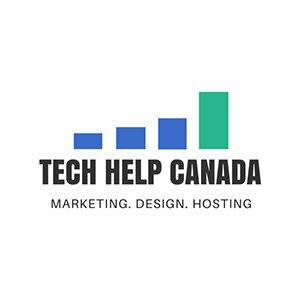 The use of advanced malicious software and hacking detection makes it easier to avoid low-quality websites or spam. Instantly get local information such as traffic, weather, nearby businesses and more. Twitter integrated feeds that show social media activities related to search queries. Their social integration may be less helpful because it’s only for Google’s social platforms. Many applications will require you to login to your Google account, which can become a nuisance. Their picture search is not as refined as other search engines. This is a search engine that is owned and operated by Microsoft Corporation. It’s smaller than Google because it’s much younger. Bing was established and launched in 2009. The way it indexes content is slightly different from Google and from a user experience standpoint, it has better videos, images and news searches. Bing has a number of features that you may like, such as interface attributes that include suggested news, images and history publications on its homepage. You can instantly learn about something that happened in history on whatever day you visit the search engine. Cool, huh? Similar to Google, it also has ‘People Also Ask’ and ‘Instant Answer’ feature. The former will show you other questions that are related to your search and the latter provides an answer box or widget for some queries. On both search engines, these features cover sports, finance, dictionary, flight tracking, conversion of units, advanced computation and calculators among others. The biggest advantage of Bing is that it’s integrated with social platforms, services and products from Microsoft. This includes Hotmail/Outlook, Xbox, MSN and Windows integrations. While Bing is still considered new to the search industry and may take some time to grow, they’ve innovated splendidly over the years! In fact, since the introduction of Bing rewards, the search engine has attracted more users to its platform, thus increasing its search market share worldwide. It’s a program that awards points to people when they use Bing search, shop on subsidiary companies/networks and take quizzes among others. It’s ridiculously easy to earn points and you can cash them out for special prizes. It has a beautiful, clean and inviting look. Makes it easy to refine your search by providing noticeable query suggestions above search results. Easy to take note of related searches as they are often fixed on the right-hand side of the page. Has a search history feature that lets you easily jump back to one of your recent searches. You can access this by clicking on the top right hamburger icon. It has easy to locate advanced search features that let you filter results by region, date or language for better refinement. It uses Twitter integrated feeds to display social media activities related to your search. Ads may be a bit much on some search results. Yahoo is one of the oldest search engines in the world. Although it’s not as big, it has many features that help it compete with Google. It’s owned by Yahoo Inc., which was incorporated in 1995 by David Filo and Jerry Yang. Other than a search engine, Yahoo also offers services such as Yahoo directory, news, answers, mail, fantasy sports, groups, finance and video sharing. Yahoo and Bing search work together to share ads and search results. Its organic results are just as comprehensive as Bing search. Shopping search has more options than many other search engines. Yahoo Answers is a useful social platform for academic or entertainment purposes and is very popular among many people. The company has plenty of mobile apps that you can download to your smartphone. Ads are NOT clearly labelled as ads so it’s hard for users to identify what’s organic vs. what’s not. Search Engine Comparison: Wrapping It Up! The choice of a search engine solely depends on what’s best for you as an individual. Overall, all three search engines are great and have a number of areas that they excel. No particular search engine is superior to the other in all aspects. So it’s important to know what each search engine is better suited for so that you can apply the best one for your needs. Try them all out to see what they have to offer and pick the most suited for you.